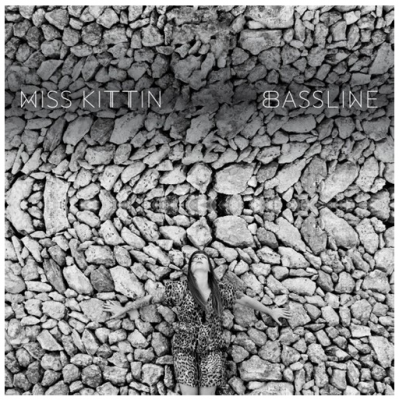 Following on from the ‘Life Is My Teacher’ EP last December, the thought-provoking first lady of technoMiss Kittin releases ‘Bassline’, a brand new single out now on wSphere digitally today,including another track ‘Come Into My House’ on the b-side. ‘Bassline’ will also be released as a four-track EP on 8th April. Both songs offer up a further glimpse of Kittin’s third album, the self-produced double-CD ‘Calling From The Stars’, to be released in the UK and Europe through Parisian label wSphere Records 22nd April. A mid tempo electro-techno pop song with simple yet evocative lyrics, ‘Bassline’ utilises complex vocal effects to truly intoxicating effect. Wanting to focus on the vocals this time around, Caroline Hervé aka Miss Kittin says “Even though I always tried to write smart lyrics, it’s good sometimes to stay simple. You might call this a pop song with dumb lyrics, but it allows me to focus on complex vocal effects to make it strong, rather than counting on the words”. ‘Bassline’ also comes with a – in Kittin’s words – “modern, and classy” remix from French EDM producer Djedjotronic, who has quickly risen to dance floor notoriety since his first EP ‘Turn Off’, right through to his Beatport Number 1 analogue bomb, ‘Uranus’. Both tracks offer that sound that was quite unexpected from Miss Kittin; slow ambient instrumentals that recall the ’90s heyday of Intelligent Dance Music (IDM) as defined by Warp Records seminal Artificial Intelligence series. Overall disc 1 of forthcoming album ‘Calling From The Stars’ offers up all of the elements that have made Miss Kittin one of the most popular names in electronic music: simple yet evocative lyrics set to an undeniable electro-flavored techno beat. It also showcases a new side of the notoriously enigmatic Kittin, that of an artist unafraid to reveal her inner emotions and beliefs. Disc 2 is a more ambient take, witnessing Kittin’s minimal techno credentials take flight over the ten instrumental tracks. wSphere is a Wagram group (Nº1 French indie) new international label. Based in Paris, but with a global view, they aim to introduce exciting music to the World. Leftfield music for the masses. The thought-provoking first lady of techno Miss Kittin returns with the single “Life Is My Teacher” which will be made available as a free download on www.misskittin.com (soundcloud below)starting December 10, 2012. The song offers up a glimpse of Kittin’s third album, the self-produced double-CD “Calling From The Stars”, to be released on wSphere Records on April 22, 2013. “Life Is My Teacher” offers up all of the elements that have made Miss Kittin one of the most popular names in electronic music: simple yet evocative lyrics set to an undeniable electro-flavored techno beat. It also showcases a new side of the notoriously enigmatic Kittin, that of an artist unafraid to reveal her inner emotions and beliefs. The perfect primer for the evolved techno-pop sound that makes up disc one of the album. Eager fans will also be treated to three more new tracks on the “Life Is My Teacher” EP, including exclusive cut “I.L.A.N.E.N.O.” and “Tamarin Bay”, both of which reflect the album’s second disc of ’90s-inspired ambient techno. DJs, meanwhile, will flock to the dark narcotic remix of “Life Is My Teacher” from Spanish hit-making duo Borderline. The EP will be available on all digital platforms on December 10, 2012.